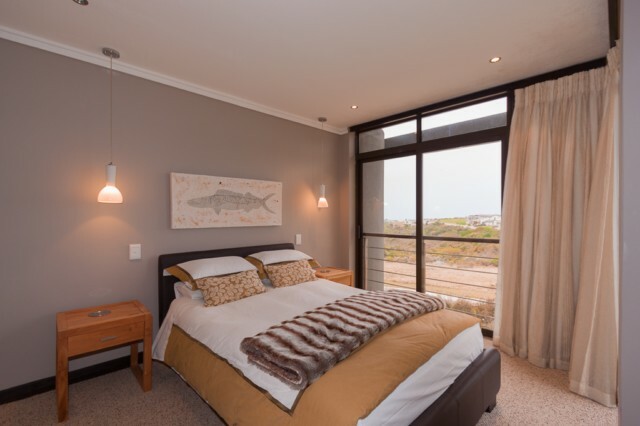 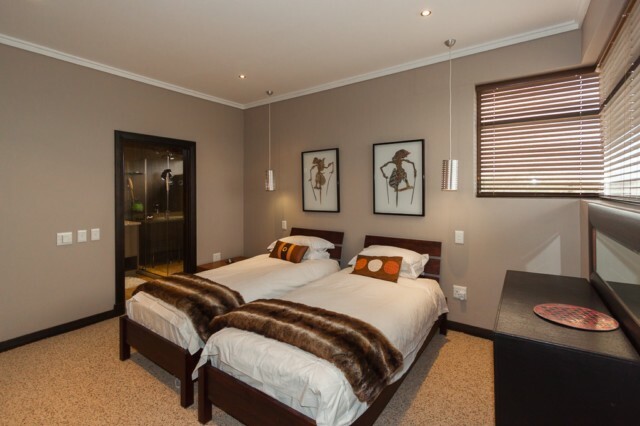 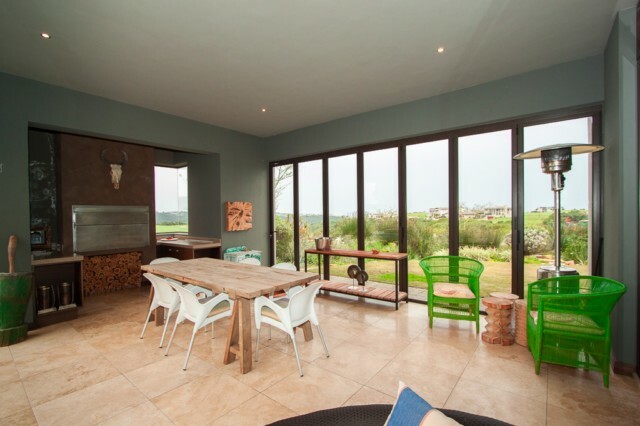 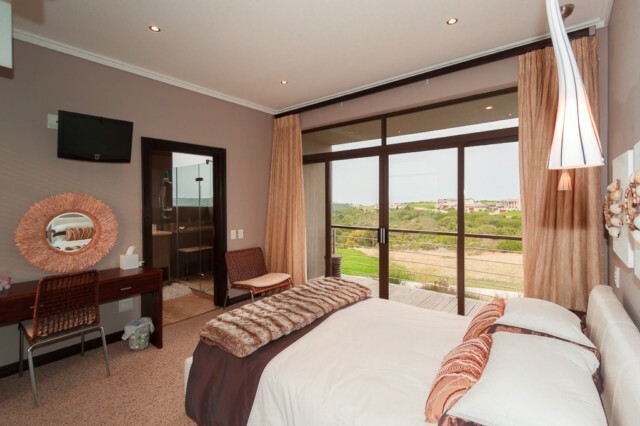 Come and enjoy a well deserved break in this beautiful North Facing self catering house which also has views of the ocean in the distance, It is situated in the Hilltop neighbourhood, Oubaai Golf Resort in Herolds Bay. 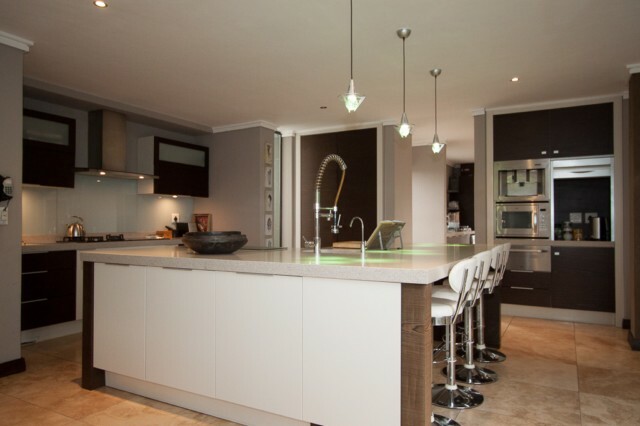 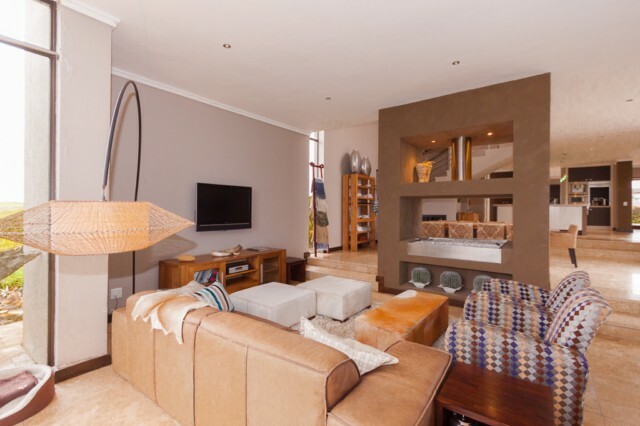 This lovely double storey home, offers 4 bedrooms all en suite on the 2nd floor. 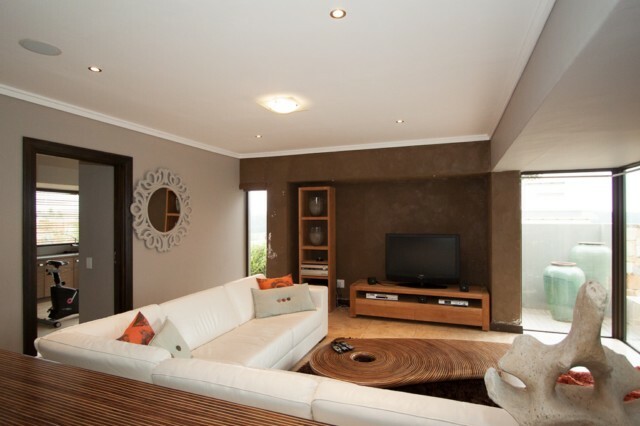 On the first floor is a lounge with a fully equipped bar, dining room, fully equipped kitchen with integrated appliances, separate scullery, second lounge which leads out to the pool area and a large enclosed undercover family area with built in gas braai which opens up to the pool area with stacker doors. 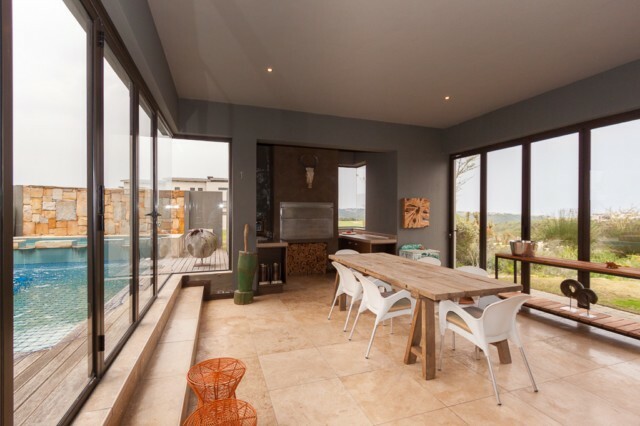 Private Swimming pool which is protected from the wind.